1.0.1: Now you can take backup. Fixed the support mail id. Sorry to all. Edit menu included. ***Please leave a review***. "When all is said and done, leading a good life is more important than keeping a good diary. * Most of the successful people writing diaries to improve themselves. Do you want to know more about yourself and make yourself better? Then get started now with My Diary!! * People have been taking diaries since probably when they started writing. * There is something gratifying about writing one's memories and feeling at a moment and reviewing them later. * My Diary is a very good tool for keeping your diary private, anytime, anywhere. 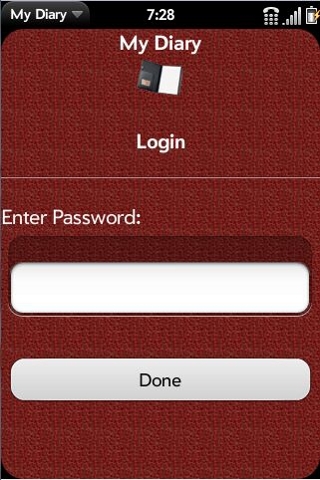 * This app will allow you to search diary by content. * You can take all your diaries backup to your mail. * This app is password protected. 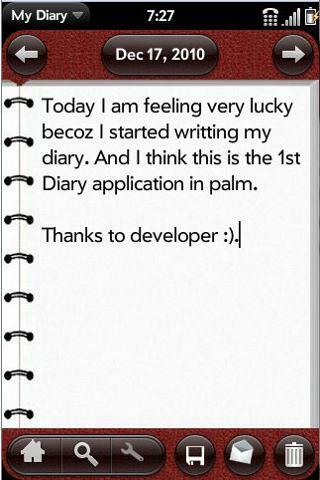 * It is very user friendly for writing the diary. 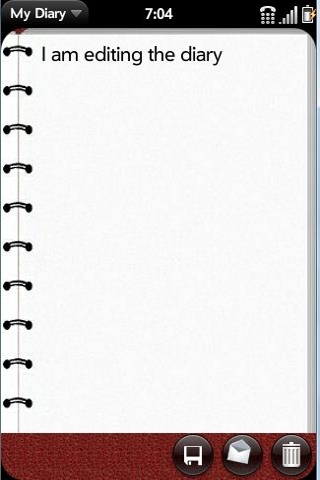 It simulates your diary GUI. So you will not feel bore writing the diary. * Now you can insert the time stamp to your diary.